Symphytum uplandicum, also known popularly as Comfrey, is a perennial herb native to Europe. It comes from the Forget-Me-Not family of plants, and is perhaps one of the most well known and recognized of medicinal herbs. Symphytum uplandicum is a hairy leafed herbaceous plant, that has small gorgeous bell shaped flowers, blue-violet in color. 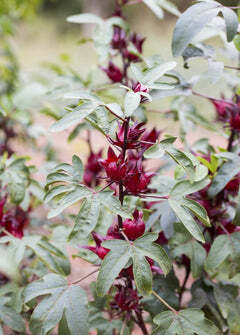 This is a fast growing plant, and requires nitrogen rich soil. Comfrey has a large, black turnip like root which is often used medicinally. The flowering parts of the plant can also be used. Since Comfrey is such a productive grower, mature plants of its species can be harvested multiple times a year! Be advised the plant has fine hairs on the stem that can irritate skin, so wear gloves when handling live plants. Comfrey's medicinal uses include the healing of wounds and bones, as a potent anti-inflammatory, and for skin issues such as acne and psoriasis. Generally an essential oil of the plant is used for external applications. It's primary constituent is Allantoin which is known for helping damaged tissue heal by increasing cell proliferation. Comfrey also is a great plant for gardens due to it's ability to act as a useful fertilizer crop. Because Comfrey's root penetrates deep into the soil, it accumulates large amounts of nutrients. At the end of the season, grind up your unused plants including the root, and mix into your soil to help provide needed nutrients. Sow Exotic carries the 'Russian' variety which is one of the most commonly cultivated variants. Any serious herbalist should consider growing Comfrey in their gardens. Get yours today! Harvest Season: Leaves can be harvest year round. Roots should be harvested in late fall through early winter. Climate Zones: USDA plant hardiness Zones 3-9.